Raptors Airsoft: Thinking of airsofting then? 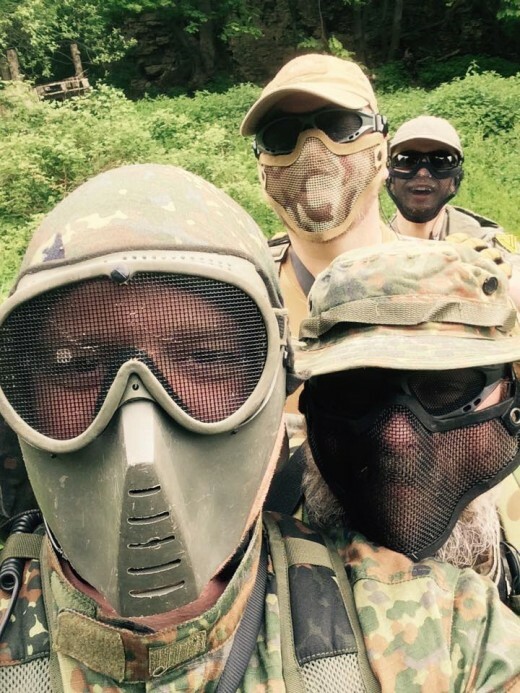 So you’ve had a read, looked at all the great photos and decided you fancy some airsoft. The next bit is the intimidating bit. But it doesn’t need to be. Remember every single person you meet in airsoft had a first time too. So here are a few pointers to help you get going. There is no substitute for getting stuck in. At some point you’re going to have to check out a site, turn up, and give it a go. The internet is your friend, check out sites near you (we recommend UKARA registered sites. You know they have insurance then and buying kit later is a lot easier) and maybe round up a few likeminded friends (you need someone to brag about that fantastic attack/defence/long range shot with after all!) and make yourself a booking. Don’t be afraid to just go on your own though (I did to start with!…Spider). Most sites are welcoming and you’ll quickly find some others to play alongside. don’t panic about gear! You can’t buy realistic imitation firearms until you’re a member of a site with insurance anyway, and you need to have played 3 times at a site in no less than 3 months to become a member (UKARA rules I’m afraid). Hire the gear to start, it’s fairly cheap, usually includes an amount of ammo and eye protection, wears out the sites kit rather than yours, and lets you try a few guns before you even consider spending your hard earned cash! All you need is some decent boots to protect your ankles, clothes you don’t mind getting dirty (army surplus combats are a cheap source here! ), also highly recommended are some gloves and headgear. So there you are. You’re now an airsofter. You are now condemned to an everlasting feeling of waiting for the action and camaraderie of the next game day, drooling over that next piece of kit that’ll just make all the difference (tip.. it probably won’t but it’s still great fun to get new stuff! ), and wondering when your legs will stop aching from the last game.